For ballet rehearsals in theatres around the world the piano has long been the musical instrument of choice. To engage orchestras to do the detailed, volatile work required in routine rehearsals would be impractical and prohibitively costly, and only at the dress rehearsal will dancers and the orchestra finally come together. 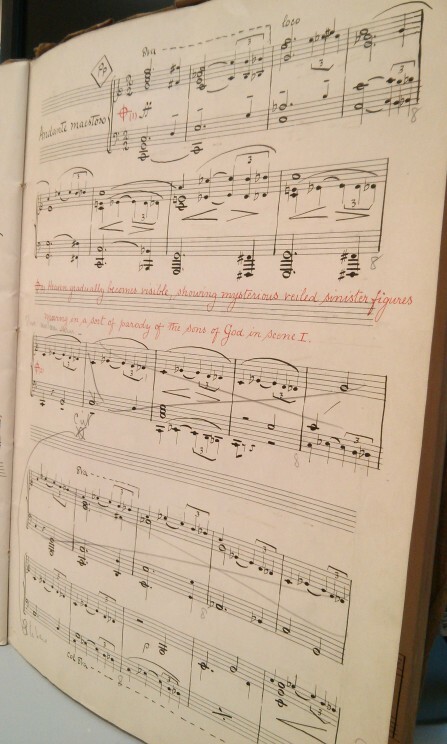 The music at all earlier rehearsals is provided through a specially written version of the score called a ‘piano reduction’, containing all the music’s essentials, but ‘reduced’ for one player – a practical, pragmatic realization of the composer’s vision with which dancers and production team can work. Pyotr Tchaikovsky (or his publisher) delegated the creation of Swan Lake and The Nutcracker reductions to others, while the piano versions of Claude Debussy’s commissioned ballet scores Jeux and Khamma were made by the composer himself. Whether created by the composer or another musician, the reduction is an essential component in any ballet production. The piano reduction can itself play a critical role in the balletic creative process. Ralph Vaughan Williams’s orchestral score Job: a masque for dancing (intended for a danced masque founded on William Blake’s illustrations for the biblical book of Job) was first performed as a concert work in 1930. The staged premiere took place in July 1931, when Constant Lambert conducted the Carmargo Society’s production at London’s Cambridge Theatre; the choreography was by Ninette de Valois and designs by Gwendolen Raverat. Lambert had also adapted the orchestration to suit the theatre’s small orchestra pit. Vaughan Williams, too busy himself, asked Gustav Holst’s amanuensis Vally Lasker to create a piano score (‘something simple and practical’) for the rehearsals. Quickly completed, several copies were then made for the production staff: ‘Copy No. 2’ was produced in May 1931 and survives in Oxford University Press’s archive. It was neatly calligraphed in black ink (stage directions in red) but soon overlaid with numerous pencilled comments and amendments, each reflecting a rehearsal event, a last-minute change, or a refinement to the stage action or choreography. Bars are added where the stage required more music, or deleted when there was too much; re-voicing and corrections to the music are slipped in; stage instructions are changed or elaborated. A long-vanished but truly creative dialogue between composer, choreographer, and producer is silently re-enacted within this simple, handwritten score. The Job score. Courtesy of OUP Archives. After the production, ‘Copy No. 2’ became the basis for the published edition of the reduction brought out by OUP later in 1931. This proudly proclaimed ‘Pianoforte arrangement by Vally Lasker’ on the cover, and it was to be several years before OUP issued the composer’s full orchestral score, with the rehearsal changes duly incorporated. The music of Job thereby reached its definitive form through the vehicle of Lasker’s piano reduction. An unexpected parallel life emerges. The piano reduction, being a complete and accurate ‘black and white photograph’ of an orchestral score, has its own existence, robust and independent, away from the floor-markings, bar, and rigour of the dance studio. The piano score of Estancia, Alberto Ginastera’s 1941 ballet of the South American pampas, was the source for the separately-issued ‘Pequena Danza’ for piano solo, while Debussy’s posthumously produced children’s ballet La boîte à Joujoux indeed began its life in piano form in 1913 (it was only later orchestrated). Edition Durand’s published edition of the piano score contains André Hellé’s delightful children’s storybook-style coloured illustrations, already envisaging perhaps a life for the music beyond the rehearsal room. The Job printed edition, too, was lavish, with one of the Blake illustrations shown as a frontispiece. Pianists, perhaps belatedly, are realizing that here lies a hidden, new seam of repertoire, just for them: fine music in expertly crafted arrangements, with a potential life in the concert hall. Here is music to be appreciated on its own merits, highlighting not only the skill of a composer, but of the arranger too, shining new and often revealing light on the structure and textures of the ballet score itself. Jean-Pierre Armengaud, for example, has recorded for Naxos the piano versions of music from Francis Poulenc’s three commissioned ballets (Les animaux modèles, Les biches, and Aubade) – the latter, being originally scored for solo piano and eighteen instruments, is, in the composer’s own reduction, a particular tour de force. Igor Stravinsky’s own brilliantly idiomatic transcription of his 1910 ballet The Firebird is also available as a Naxos recording, played by Idil Biret. And that visionary musical exploration of William Blake’s Job illustrations by Vaughan Williams can now be experienced through the focussed clarity of Vally Lasker’s piano realization in Ian Burnside’s recent recording of Job: a masque for dancing for Albion Records. The music’s inner voicing, and many points of articulation and phrasing emerge in an entirely new way, while the solo medium in no way diminishes the sweep and insight of Vaughan Williams’s conception. The humble piano reduction takes centre stage! 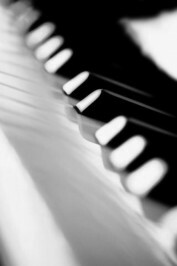 Image credit: Piano keys via iStock.